I had the pleasure this week of reading a paper from a posting online at a website dedicated to the subject of typewriters. The author had presented this paper as a talk delivered to a convention of philosophers. His subject matter was speaking to the phenomenon in which the usage models of technology - specifically the historic development of the manual typewriter - are rooted in the direct, physical manner in which the human body interacts with the mechanism of the technology. His argument is that, rather than there having been a pre-defined usage model or need for the mechanical recording of printed type, these various usage models were only derived after the machines were built and placed into the hands of the would-be typist. A parallel argument is that there wasn't merely one solitary usage model for the typewriter; rather, specific usage models were identified for each particular machine design, with some designs capable of much more efficient use than others. 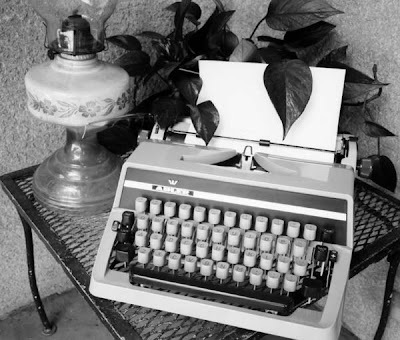 It is seen that the evolution of the technology of the typewriter was driven by the efficient use found for such devices, only after they had been engineered and introduced to the market. Implicit in this historical observation is that new usage models for technology are rarely if ever predicted ahead of time by their developers or inventors, but only after their introduction into the mass of the consuming public. It is the public that develops unpredicted modes of use, or rejects technology outright despite the best plans and intentions of its developers. This observation flies in the face of the generally accepted practices of technology development, and helps to explain the market phenomenon whereby a product unexpectedly 'takes off' in popularity, only to be followed, like lemmings, endless copy-cats and clones by 'me too' manufacturers, thereby promoting a self-propagating market craze. With the saturation of the manufacturing and technology development sector by investment-savvy, profit-oriented funders it is a miracle that any new technology can even be brought to market and hope to transform society by the creation of new and unexpected modes of use. Rarely is a product developed and permitted to be manufactured with no preconceived or predictably viable market already in existence. It takes much personal courage, and great financial risk, to permit a product to be developed and introduced while yet lacking a sustainable market base. Yet that is exactly the criteria required of a new technology for it to transform the culture in ways new and unexpected. This is the milieu of what has come to be called 'venture capitalism'; yet the failure of many attempts at venture capitalism can be placed squarely on the shoulders of those who arrogantly insist the new forms of use for the tools of technology can be predetermined and programmed by the creators of these devices. The history of technological success and failure shows that the most efficient use for tools are only found by those who wield those tools in hand, on a continual basis, in the 'real world'. Such uses are rarely if ever found in the development laboratory of the hopeful manufacturer or inventor, ahead of time. The tool user, not the toolmaker, determines the success or failure of a product or device. Yet we have been witness to the recent phenomenon whereby the developers of new products create, ahead of time, new usage models and artificially fabricate a synthetic market demand based on the principles of the psychology of mass manipulation. Such manipulators of technology have gone so far as to lobby the Federal Government to enact legislation that artificially obsoletes established formats and standards, so as to create market demand for new technologies based solely on the principle of the vacuum, or the threat of obsolescence. It is the opinion of this author that history indicates such strategies are bound to fail. New and unpredictable usage models will be the inevitable result of any new tool being made available to a public of consumers; a corollary of this first principle being that such newly developed uses are always found to be at the liking and convenience of the tool user, and not the tool maker. It is with this first principle as background that we can now understand why there remains a market for technologies only recently despised and proclaimed as obsolete. We can see why banks and law offices, for instance, continue to find profitable and efficient use for the typewriter in the daily conduct of business, in preference over the more overt presence of the personal computer. Or why there remains a stubborn and unexpectedly resistant market for traditional silver-gelatin, film-based photographic technology, as a specialist medium by a small yet devoted base of adherents. Such tool-users of traditional technology find in the interaction with the devices and materials of their craft an efficiency of use, and a quality of results, unique and unobtainable through other means. This we see as an inevitable and undeniably historic aftermath of the tool user who has become an artist-craftsman, through a process of interaction such that the hand and the tool have conformed to one another in a symbiotic relationship born of sensitivity to the materials and process. Such a "Craftsman Aesthetic" is anathema to the principles of planned obsolescence and manipulation-based marketing upon which the bulk of our contemporary economy are based. It should come as no surprise to see the craftsman continue to lead the way in defining new usage models for our technology-based economy. It would be wise for the leaders of industry to pay them heed.